From isolated older adults to veterans experiencing PTSD to individuals with cognitive disorders, in-home care is playing an increasing role in improving outcomes for those with mental health issues. 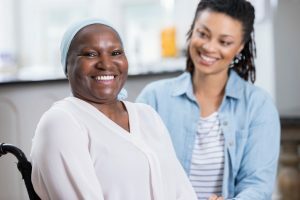 In honor of national Mental Health Month coming up in May, To The Rescue shares the following information on how our skilled in-home care services can help improve quality of overall health – physical, mental, and emotional. To learn more about how the expert assistance of To The Rescue’s in-home care staff can enhance quality of life on a variety of levels for yourself or someone you love, contact us any time at 720-851-2100 in Colorado, or at 319-826-6068 in Iowa. We’d love to offer you some helpful resources related to a particular challenge you’re facing, and to provide a free in-home consultation to develop a plan of care to address those challenges and make life safer, easier and more fulfilling. Whether the need is for just a few hours each week of help around the home, full-time, around-the-clock care, or anything in between, To The Rescue is here for you!